Home » Beauty » The first Bitcoin Wife Giveaway! Looks good enough to eat, amirite?! 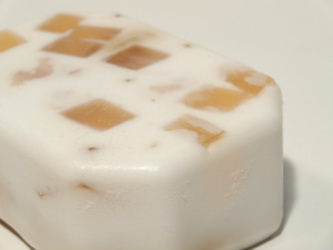 Bad Dog Farms soaps smell fuhmazing and are oh so gentle. I bought the Mango Honey Yogurt Bar and my epidermis is now glowing like a Casascius…mint condish. The smell is subtle and fruity, while the yogurt base is very soothing. Aaand you can buy these beauties for Bitcoin, at about $5 USD converted, so really? This is a no brainer purchase. David at Bad Dog Farms is a Bitcoin early adopter, and he knew that merging his love of Bitcoin with his father’s handmade soap hobby was a perfect fit for the community. 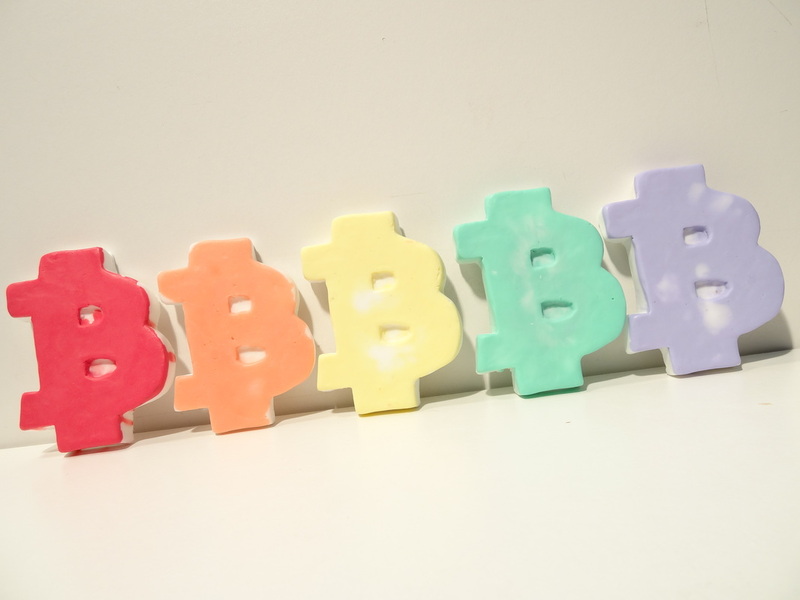 They are also the creators of the uber-cute Bitcoin soap bar! I tried the purple Lavender bar and the lather is light, while the lovely scent is noticeable but not over-bearing. You can purchase these individually, but you should go for the pack of five for $20 USD worth of BTC. That way you can spread the Bitcoin love by keeping one and sharing the rest with your friends! All Bitcoin purchases with Bad Dog Farms enjoy FREE SHIPPING. So once you enter The Bitcoin Wife’s (TBW) inagural Giveaway below, do not pass Go, do not collect $200, go directly to baddogfarms.net. Now, it is my turn to share with you! I have in my hot hands a bar of Bad Dog Farms Strawberry and Mango Goat Milk Soap Bar, and yes – it smells as delicious as it sounds! Do you want it? Ya gotta work for it! You have one week peeps. The most creative response wins. I’ll send you the Bad Dog Farms soap, along with a few other Bitcoin goodies – so get along little doggies. Hit me up! I once begged for bitcoins, and nearly had my head bitten off! I can’t believe so few have entered!